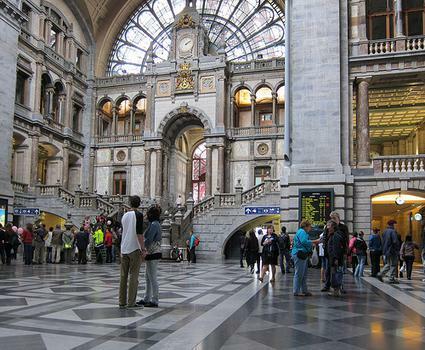 Counted among the most beautiful railway stations in the world, the Antwerp Central Station is definitely worth visiting even if you are not arriving or leaving by train. Counted among the most beautiful railway stations in the world, the Antwerp Central Station is definitely worth visiting even if you are not arriving or leaving by train. The stone clad building has a vast dome above the waiting room, and 3 levels of tracks covered by an iron and glass vaulted ceiling.